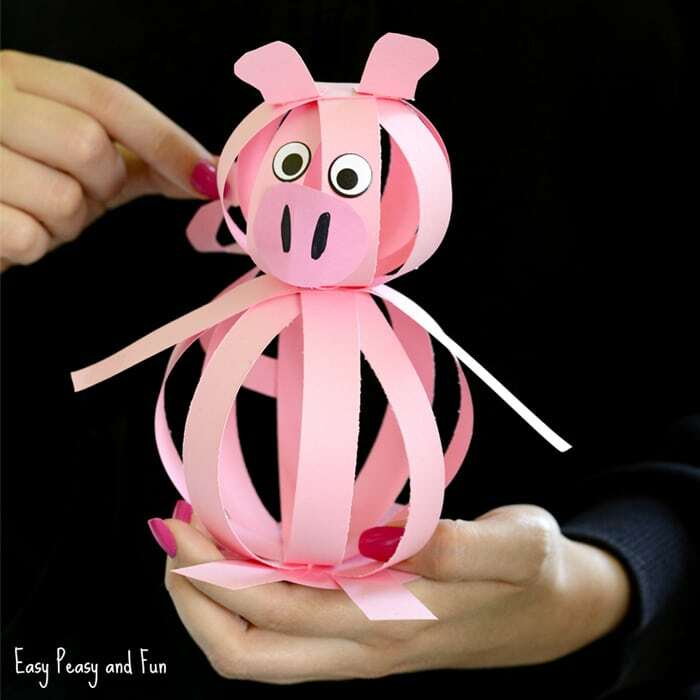 We made another farm animal craft, this time around we are showing you how to make an easy paper pig craft! 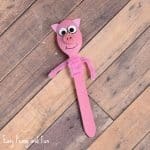 As with most of our craft ideas for kids, we made sure this one is on the frugal side and you probably have all the materials you need at home already. Pigs are wonderful animals and by our human standards one of the most intelligent in the animal kingdom. They certainly deserve some crafty spotlight! 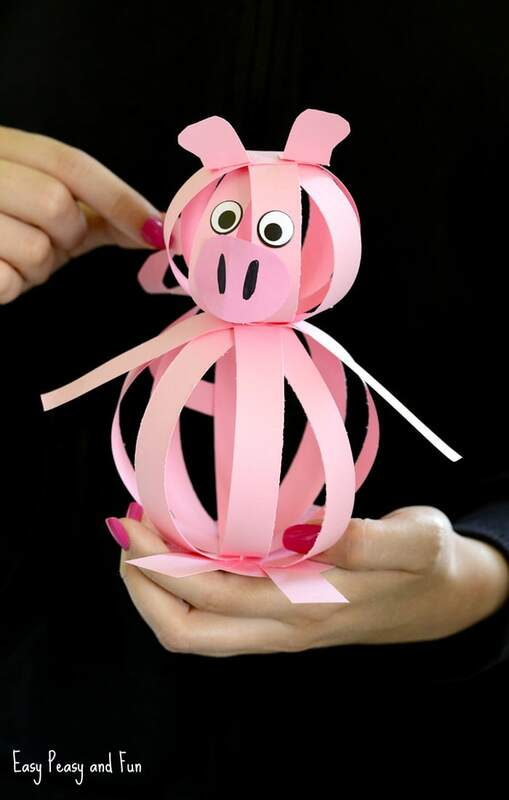 We already have a simple and fun pig craft idea on website but have a tons more coming out soon (as you know, pigs are awesome!). 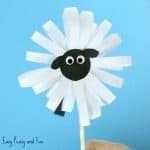 This simple paper craft is a great project for all ages – with some minor modifications you can make the craft easy enough for preschoolers and kids in kindergarten. We are sharing our tips and tricks to make this craft “younger kids” friendly in the tutorial. School age children will be able to make the craft as is. 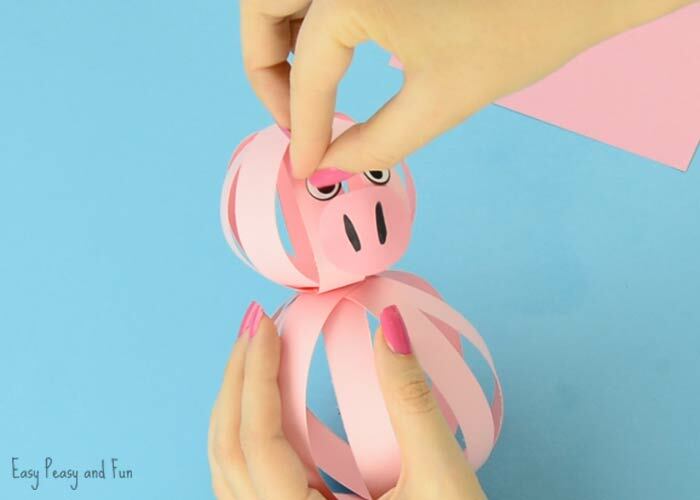 Ready to make your own easy paper pig craft? Let’s make one (or a dozen). 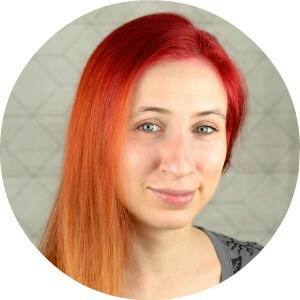 You will need 4 strips of paper for the body and 4 strips of paper for the head. Our strips were as wide as a “finger”. 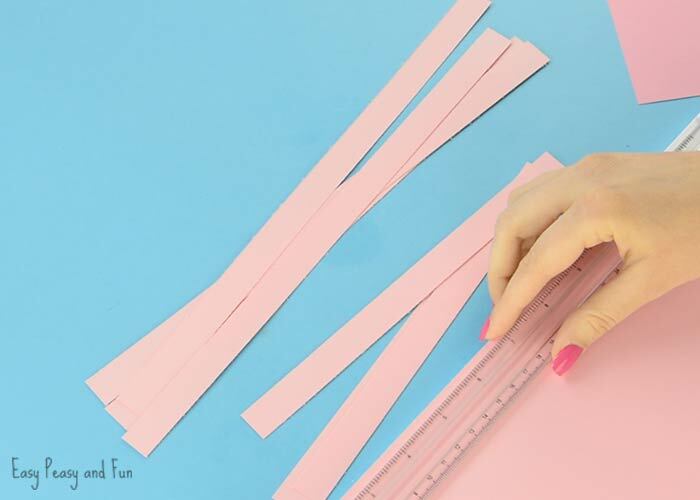 For the body we cut the strips of pink paper across the length of the paper and for head we cut them across the width of a sheet of paper. 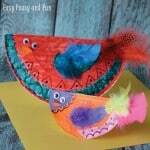 If you need to modify this craft for younger kids, we recommend they only do the head part and use 2 wider strips of paper. 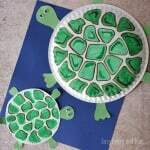 Wider strips of paper are easier to handle for younger kids and as there is less gluing and cutting involved they won’t loose their focus. 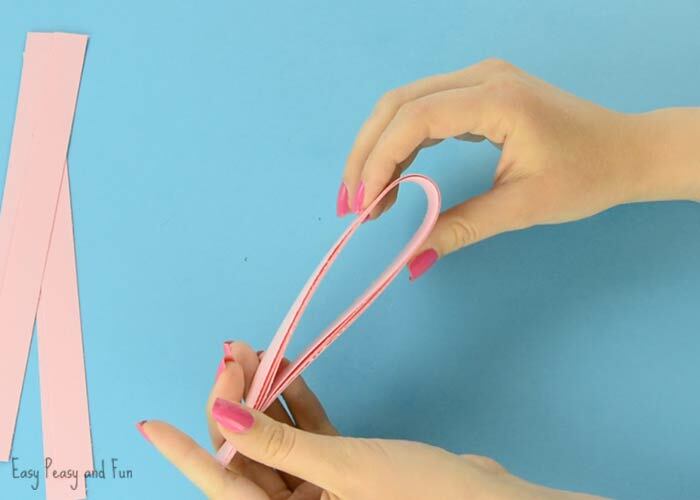 Fold the papers in half – no need to make a crisp crease, this only helps with “finding” the middle in the next step. Apply glue in the middle of one strip and glue another on top of it at a right angle. Glue another one in between the first two and then another one at a right angle of that one. Do the same with short ones. 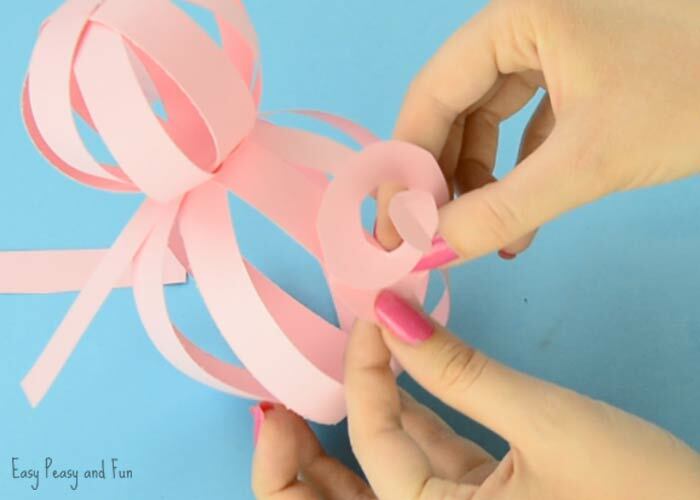 Now take two ends of the same pink paper strip, loop them into a circle and glue them together at the top. 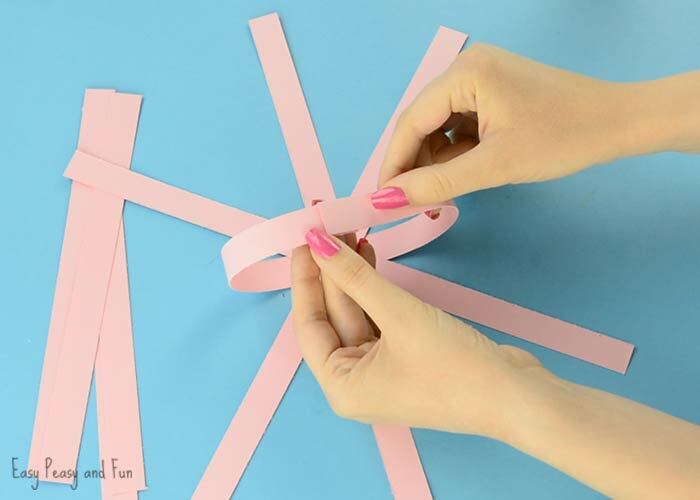 Repeat with all strips of paper until you get a paper ball. 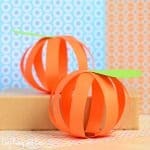 Make the ball with short and long strips of paper. You just made the body and the head of your pig craft. Glue the small ball on top of the large ones. Let the glue dry. 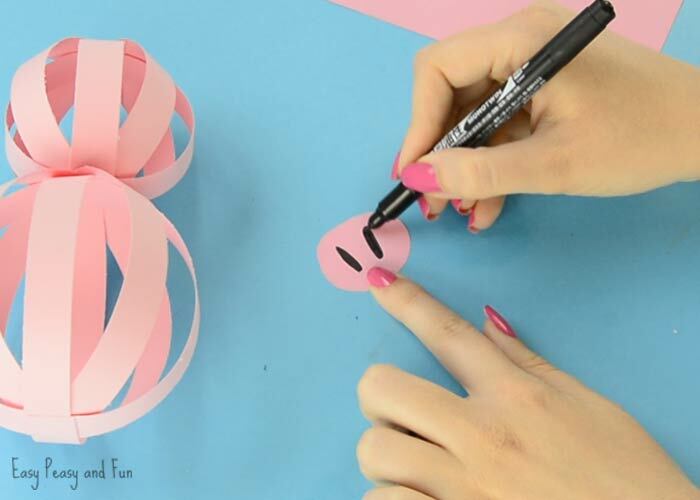 Cut a circle for the snout out of pink paper. Draw nostrils with a black marker. 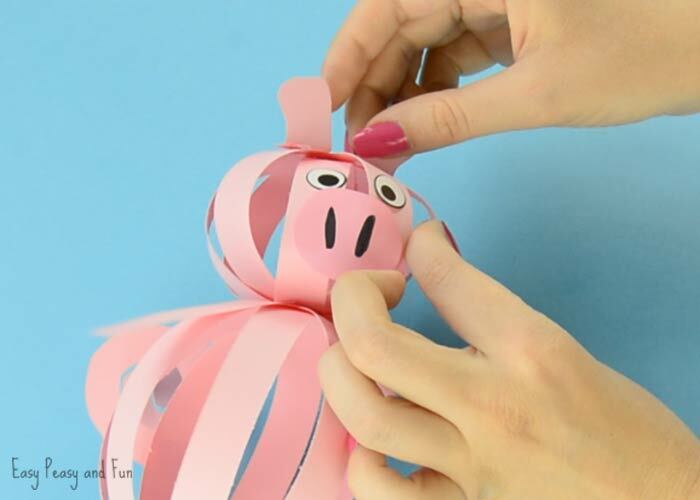 Glue the snout on the head part of the paper pig craft. Draw eyes or glue on two wiggle eye stickers (or goggly eyes). Cut two more strips of paper for the front legs. Glue them on the pig. Cut a tail and glue it on the back. Also cut two ears and glue them on top of the head. 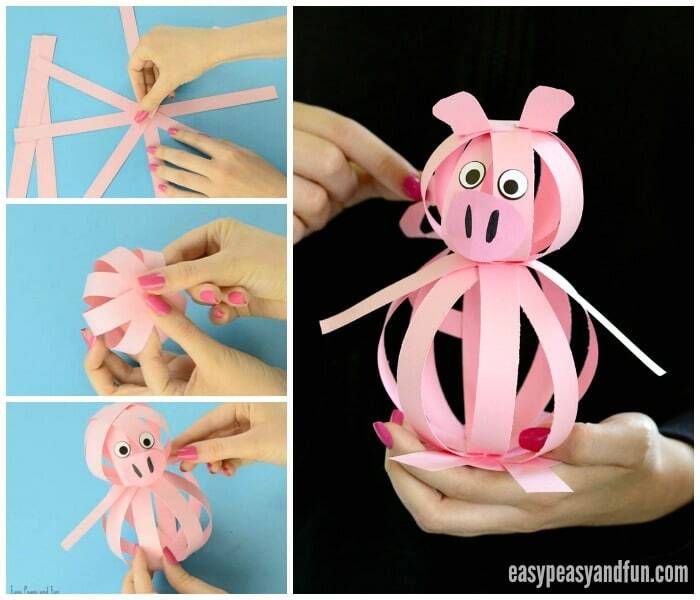 Cut a circle base for the pig, this will make it easier for your paper pig craft to stand on it’s own. Cut two legs and glue them on the base. Glue the pig on the base.